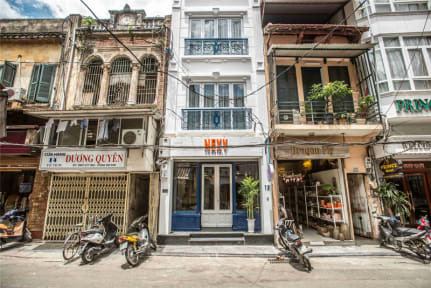 Great hostel in a relatively quiet side street in the centre of Hanoi, perfect for the weary traveller who is looking for a good night’s sleep and a good location to explore the city from. Without a doubt the most comfortable dorm I’ve stayed in in Vietnam and with an amazingly friendly and helpful staff. 5 stars, tnx for a great stay guys! Nice hostel with great beds - lots of privacy thanks to the curtains. Clean bathrooms, tv room with big TV and computer that worked very well. Breakfast was basic but good. Staff very helpful with anything I asked. Netjes en fijn hostel, ik ben er alleen maar een nacht geweest. Ik zat toevallig in de kleinste kamer dus dat was niet heel fijn, was vrij krap. Maar je bent er alleen om te slapen natuurlijk, dus voor een nacht was dat prima. Fijn bed! Je kon als je de kamer te klein vond ook naar een andere kamer, dan kon je dat vragen. Good place to stay, not very special though. Common areas where provided but no one was sitting there. Breakfast included, unfortunately not many choice what to eat. 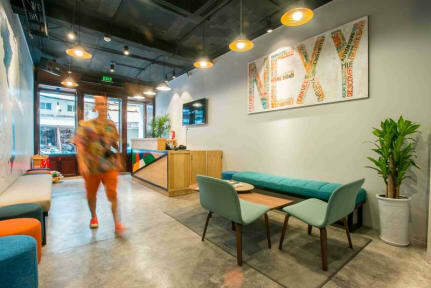 Staff was helpfull and spoke English very well. The comfy beds with lots of privacy were probably the best part of our stay.